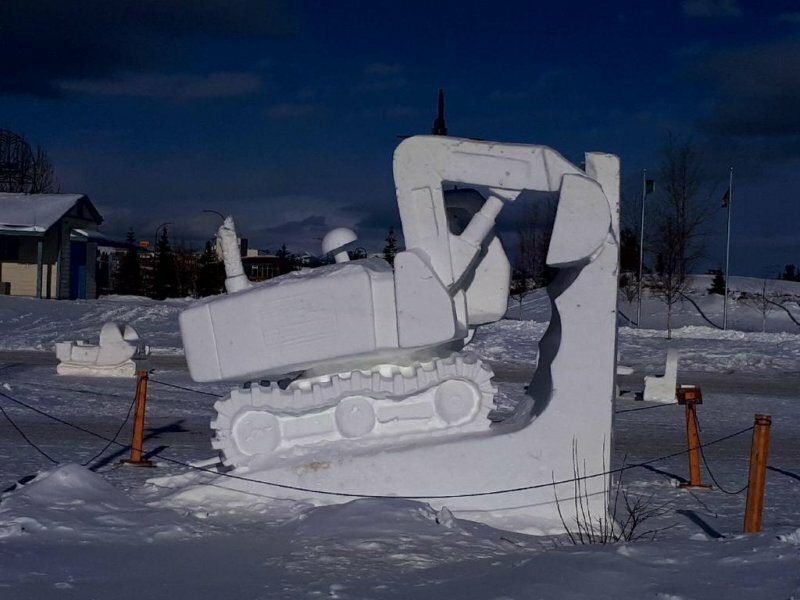 One of the best winter festivals, The Yukon Sourdough Rendezvous will be taking place from February 8th to 24th. There are so many fun activities indoors and outdoors for all members of your family. If you have never attended the Sourdough Rendezvous, you should definitely add it to your bucket list. 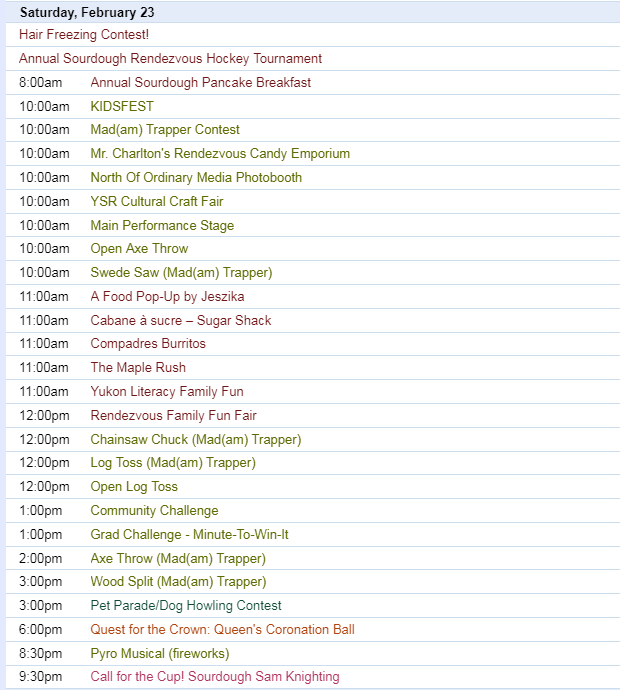 To view the schedule of events, go to the Sourdough Rendezvous site – https://www.yukonrendezvous.com/full-festival-schedule . 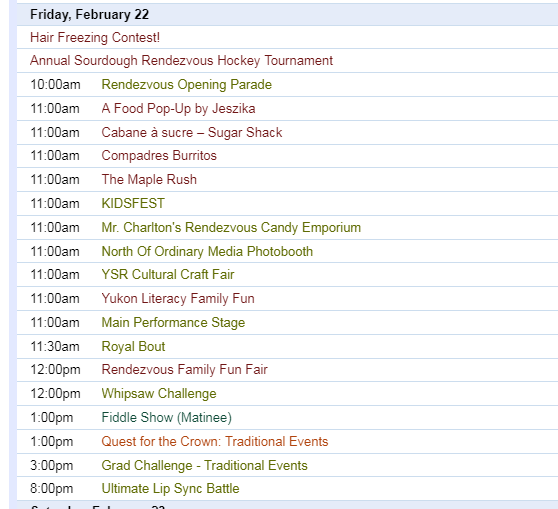 Here are a few excerpts from the schedule to give you an idea of breadth of activities. For those of you that would prefer an indoor activity – check out the Queen’s Tea. Here are a few details about the tea. 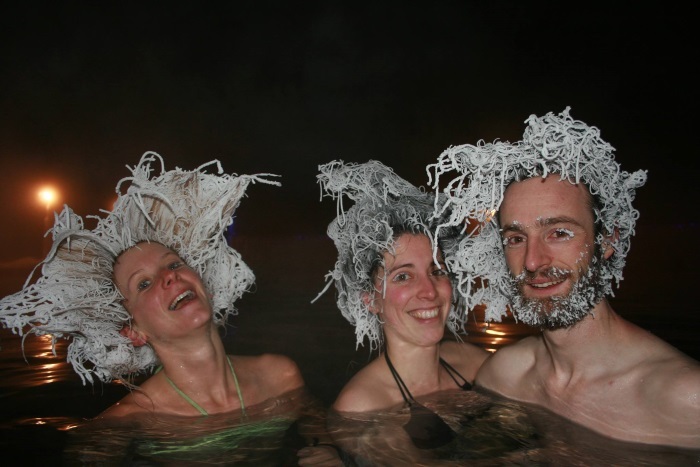 Another fun event is the Hair Freeze at the Takhini Hot Pools. Here is an image from a past Hair Freeze event. 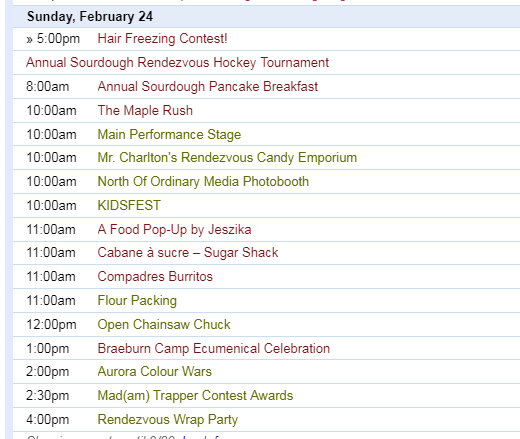 Don’t miss out on all fun – Hope to see you at the Yukon Sourdough Rendezvous. If you need an accommodation, Hidden Valley Bed and Breakfast still has some availability.